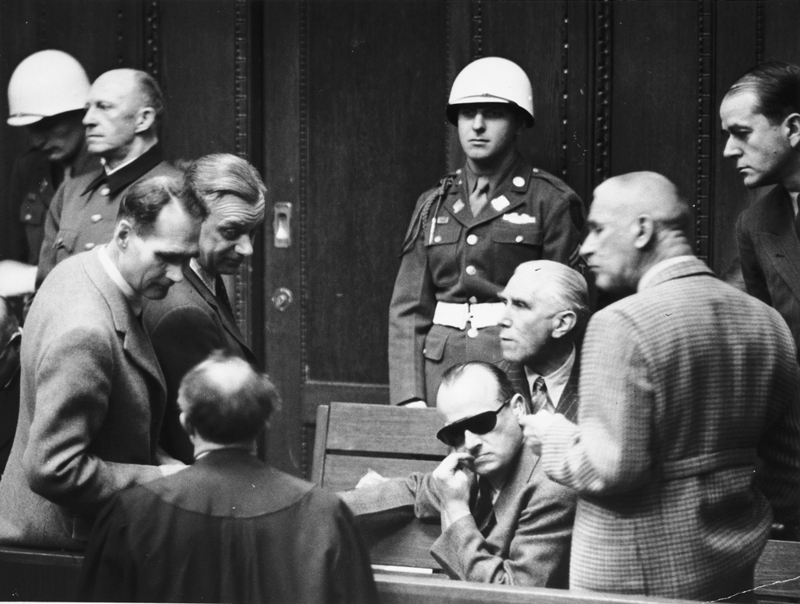 The indictment in the trial of the major war criminals at Nuremberg contained four counts: 1) Conspiracy; 2) Crimes against peace; 3) War crimes; and 4) Crimes against humanity. Count Two of the Indictment stated: “All the defendants, with diverse other persons, during a period of years preceding 8 May 1945 participated in planning, preparation, initiation, and waging wars of aggression which were also wars in violation of international treaties, agreements and assurances.” Twelve defendants were convicted on Count Two, in combination with other counts; seven were sentenced to death by hanging, and the others to imprisonment. This image is a work of a U.S. Army soldier or employee, taken or made during the course of the person’s official duties. As a work of the U.S. federal government, the image is in the public domain. This entry was posted in Education, Geopolitics, Justice and tagged aggression, Atrocities Prevention Board, Charter, crime, humanitarian intervention, Nuremberg, sovereign country by cnlib. Bookmark the permalink.